ABOARD THE CRYSTAL ESPRIT — Today it was necessary to anchor the Espirt and to tender to shore. Although the yacht is small enough to dock in most places, some harbors are protected, so there’s a need to tender. Two complimentary tours were offered. One included a hike and a trip to the beach. I thought the beach-goers who intended to sample the sea were brave, as the water temperatures right now are pretty cold. (I heard around 60 degrees Fahrenheit, though that number wasn’t official.) 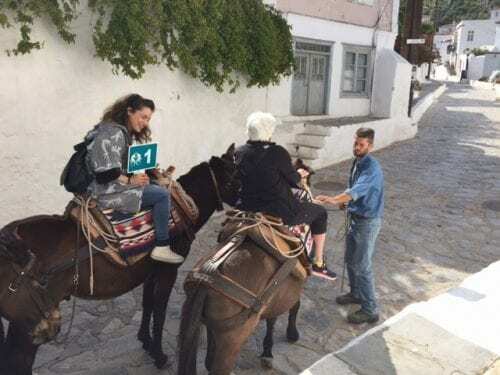 I chose the “Hydra by Foot” experience, which began with some walking, up hill on narrow and winding cobbled streets, followed by an exploration on donkeys. 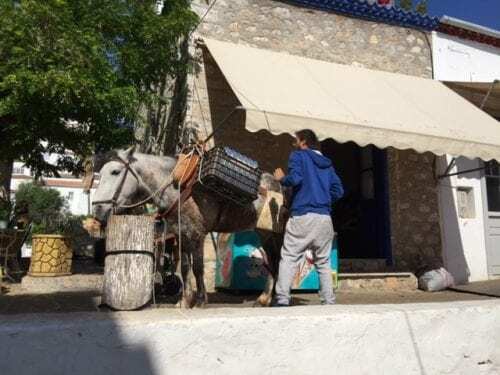 These animals act as taxis, delivery vehicles for the mini-supermarkets and for just about everything else that needs to be transported throughout the island. Though this is officially the beginning of the tourist season, it is hot and the sun is strong. 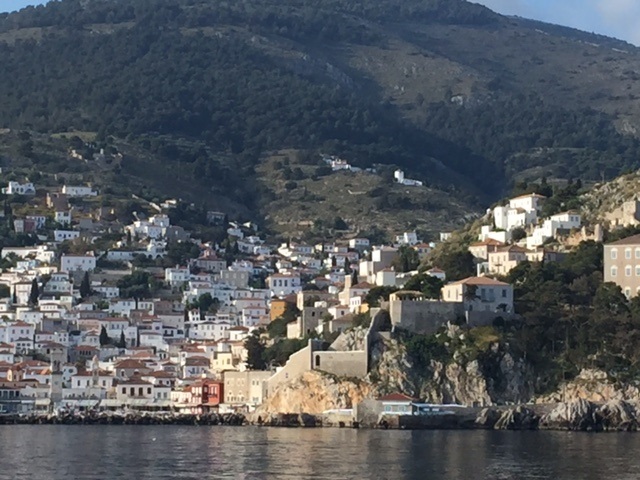 The tour stopped at the Monastery of St. Constantine, which offered excellent views of the harbor, then continued to the Koundouriotis Mansion, a fine example of the island’s traditional 18th and 19th century architecture. More walking followed as we returned to the port, for a visit to the Church of the Dormitian. Free time was welcome, as there were pretty shops to visit and photo opportunities galore. 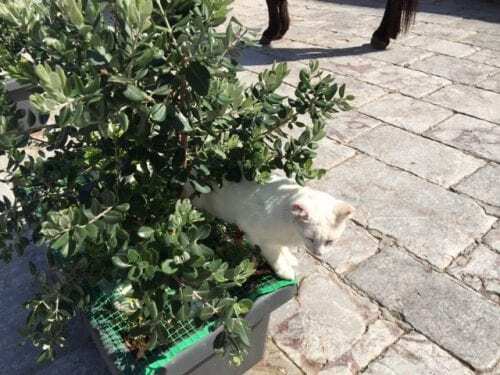 The cats of Hydra were abundant, and I stalked an especially pretty one until she settled into some cool bushes.